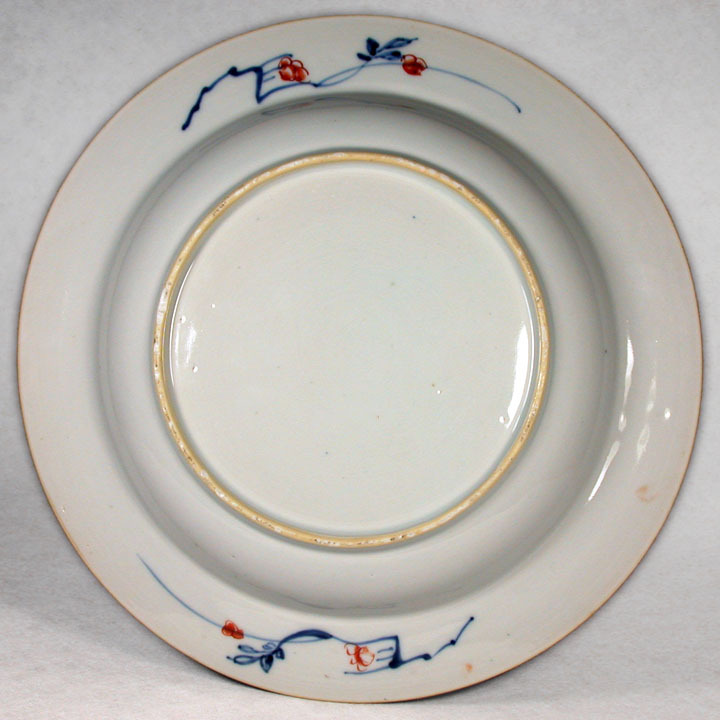 Subject:Is this a Chinese Imari plate? Here's an Imari plate. I'm not sure if this is Japanese or Chinese Imari. The red is too Coral colored for Japanese (I think). It's got a bit of damage but still a nice old piece. 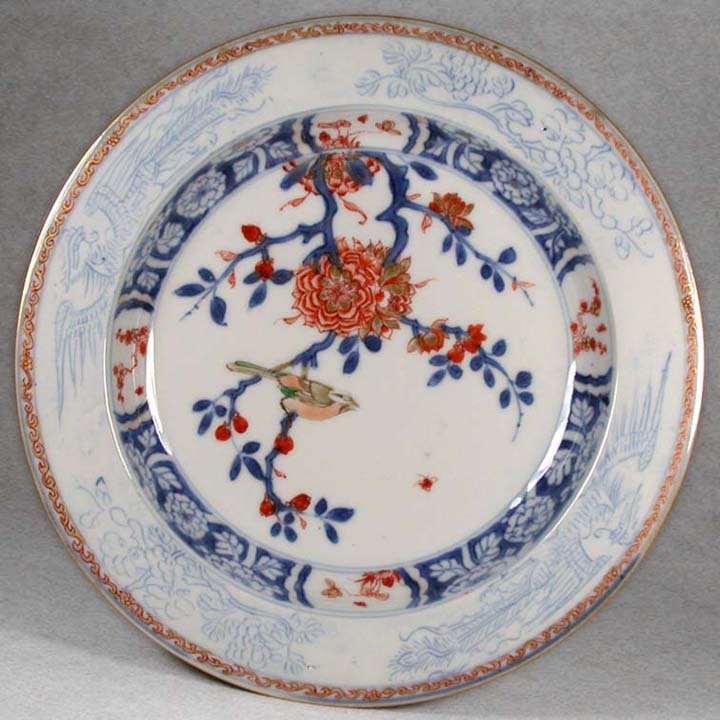 Subject:Re: Is this a Chinese Imari plate? Appears to be Japanese, perhaps early 20th century (late Meiji-Taisho era). 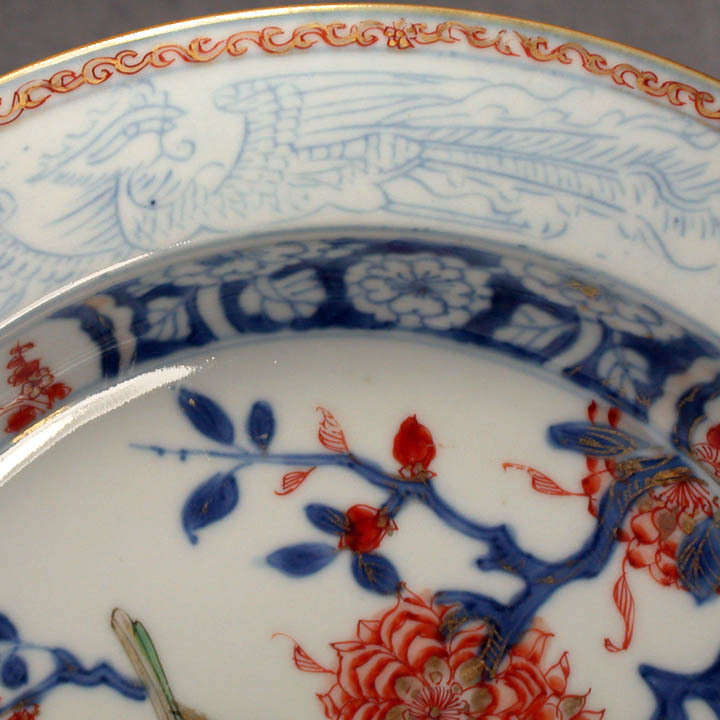 Even if the dish should prove to be Chinese-made, the term "Chinese Imari" generally refers to Chinese porcelain dishes made from the Kangxi-to-Qianlong periods using some colors found in Japanese Imari but in patterns that are peculiarly Chinese. Views of a Kangxi example are shown below. Bill, as always, I greatly appreciate your expertise! Cheers!